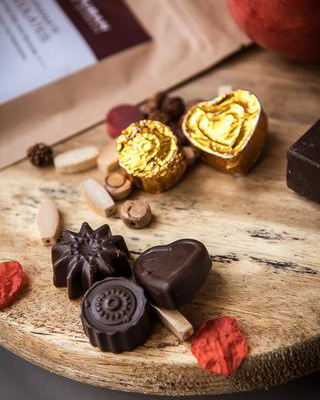 Chocolates are without a doubt the best source of energy for people of all ages. Chocolate making is an art, where the prime goal is to choose the ideal ingredients in order to make the food completely satisfying. 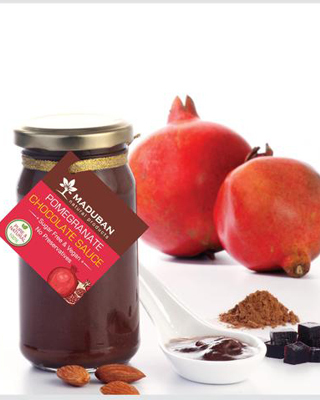 Pomegranate Chocolate from Maduban changes your body into a powerhouse by delivering nutrients to your body. Nothing says “happy holidays” better than a delicious chocolate. Munching every bite of this tasty, soft dark chocolate bar is a treat to the tongue. 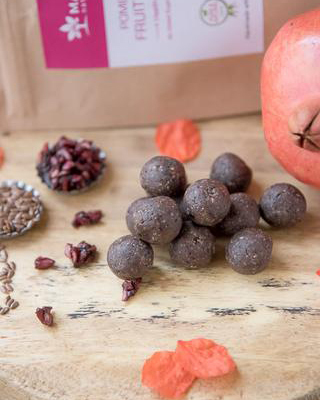 Premium handmade Pomegranate chocolate filled with real pomegranate fruit gel and roasted almonds. They do not contain any added sugar, preservatives or flavors of any kind. 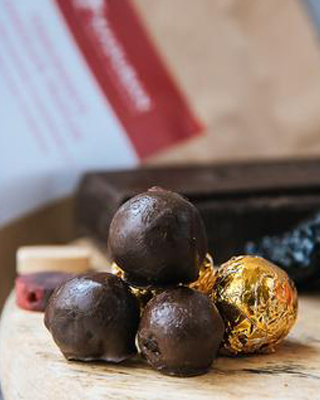 Each and every bite of this handmade pomegranate chocolate is made from the ever so soft ingredients for the chocolate lover in you. 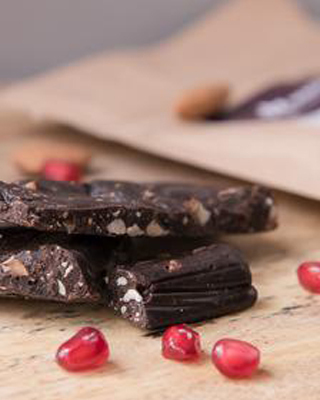 Dark Chocolate, Pomegranate whole fruit gel, Crunchy roasted almonds. 12 pieces in a paper pouch – 100 g approx. This chocolate is a perfect choice to welcome spring into your life! Delivery time: 2 to 4 days from the date of order. We also provide Pomegranate cake, Pomegranate Chocolate truffles and Pomegranate energy bar for the food lover in you.